While Malta is experiencing the cryptocurrency boom from all aspects, there’s still a visible lack of country’s own blockchain-based businesses. Apart from a few projects that are about to kick off the ground, the news is pretty much covered with international companies moving to the island. An exception to that is a new cryptocurrency trading platform – CCTrader Crypto – an offspring of Calamatta Cuschieri, Malta’s well-known financial services firm with over 45 years of experience. For starters, the fact that you can trust them. Which, as we all know, is a rare find in the crypto world. 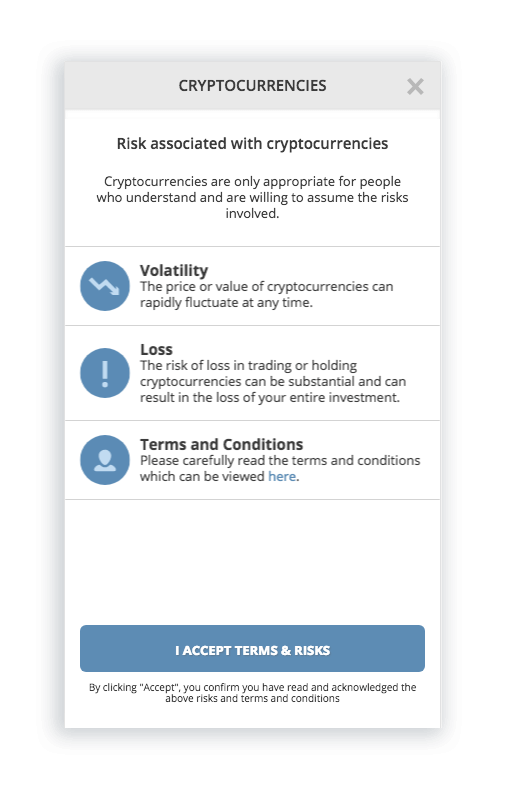 CCTrader Crypto launched in July 2018 as one of the first Maltese cryptocurrency trading platforms. With years of experience coming from Calamatta Cuschieri’s trading portfolio, it seemed like a natural step for the company to start offering cryptocurrency. The company pioneered the local financial services industry back in 1972 when professional financial services, not to mention stockbroking and wealth management, were reserved for the elite. Throughout the years, the company kept on evolving accordingly to the market trends – introducing trading platform, pensions, fund administration and many more. Calamatta Cuschieri were the first broker to offer online trading locally and also the first to offer live trading on the Malta Stock Exchange. They actively participate in the country’s development within the financial sector. This on its own shows the real people behind the platform and reassures it’s legitimacy. Where did the idea for a cryptocurrency trading platform come from? 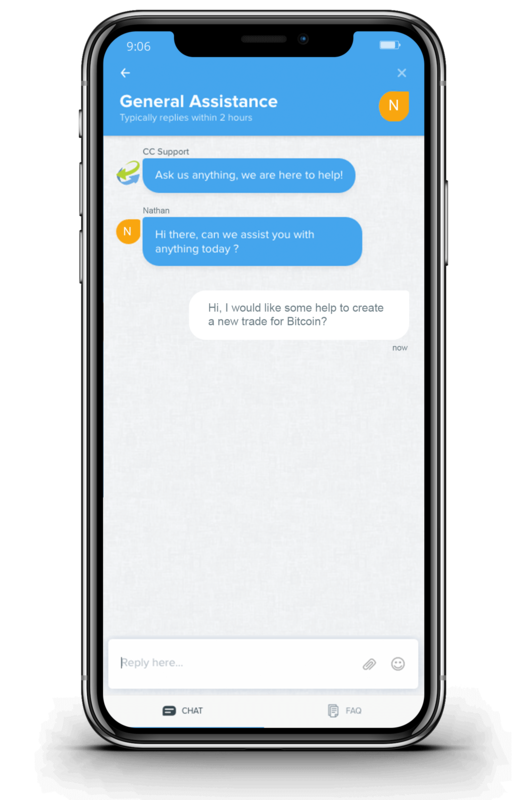 Simply from the founders’ experience in the financial industry and frustration over cryptocurrency trading platforms that are often too complicated to use and do not offer a good enough customer service. CCTrader Crypto is based on the original award-winning CCTrader platform with the majority of features being very similar. One of the biggest advantages of that is a clean and well-optimised interface without a clutter of unnecessary features. 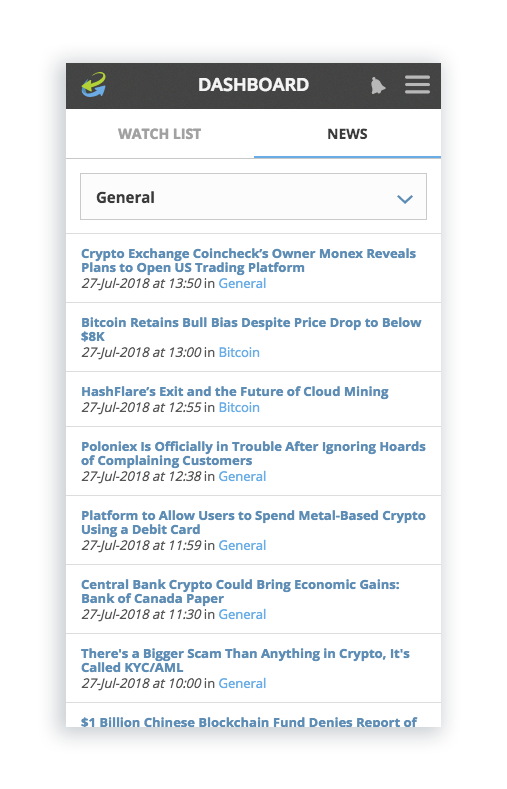 Apart from traditional trading features, CCTrader Crypto also features a News Section updated multiple times a day with the most important events from the cryptocurrency market worldwide. One can also filter by cryptocurrency. 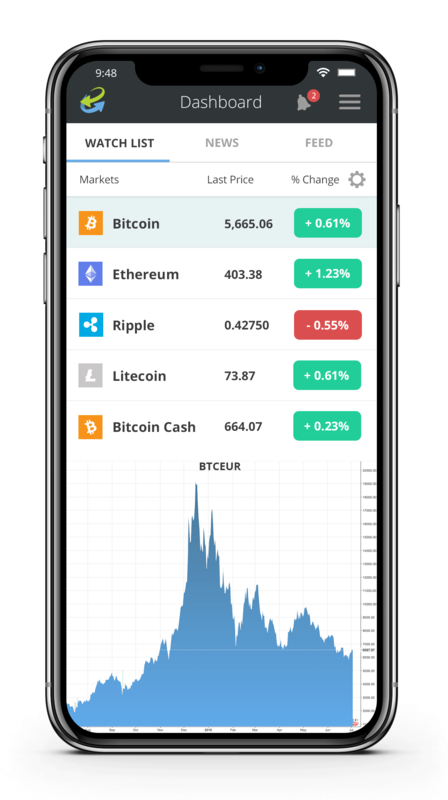 Unlike the majority of cryptocurrency exchanges or trading platforms, CCTrader Crypto will carefully continue to build its portfolio to ensure the best customer satisfaction in a highly volatile market. Both deposits and withdrawals can be made through Visa or Mastercard as well as bank transfer. The supported fiat currency is Euro. 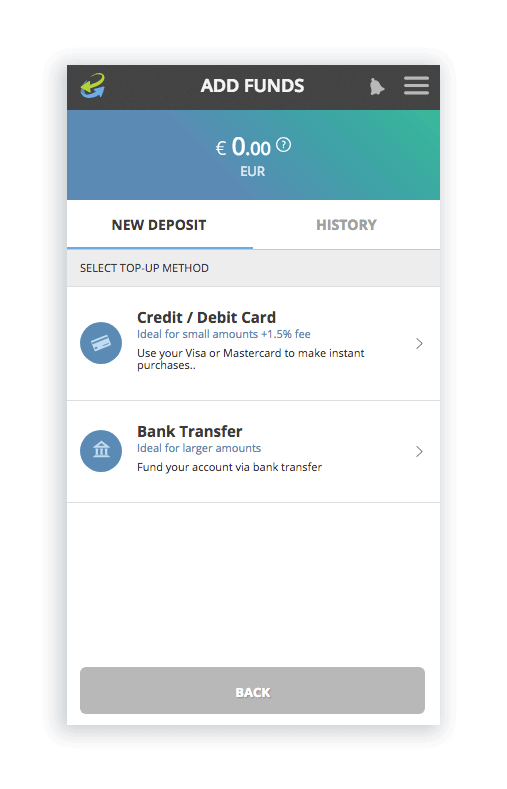 CCTrader Crypto recommends using credit/debit card for smaller amounts, however, bear in mind that the minimum deposit amount is €50 and it comes with a 1.5% fee. All Withdrawals and Deposits made via SEPA are free. 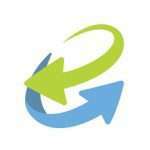 Withdrawals are sent via SEPA on the same day. 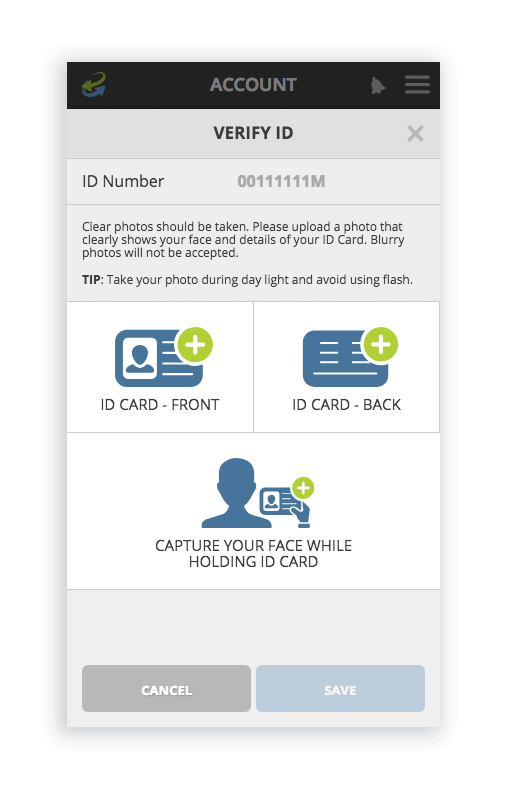 As expected from any legitimate cryptocurrency trading platform, CCTrader Crypto requires a proof of identity to be able to verify your account. The verification process has been introduced comply with relevant anti-money laundering (AML), know your customer (KYC) and counter-terrorism financing (CTF) laws and regulations. The complete verification process can take up to 3 days, however, this will not prohibit you from placing your first deposit and trade in the meantime. CCTrader uses SSL encryption, Geolocation and Oauth2.0 authentication standards. 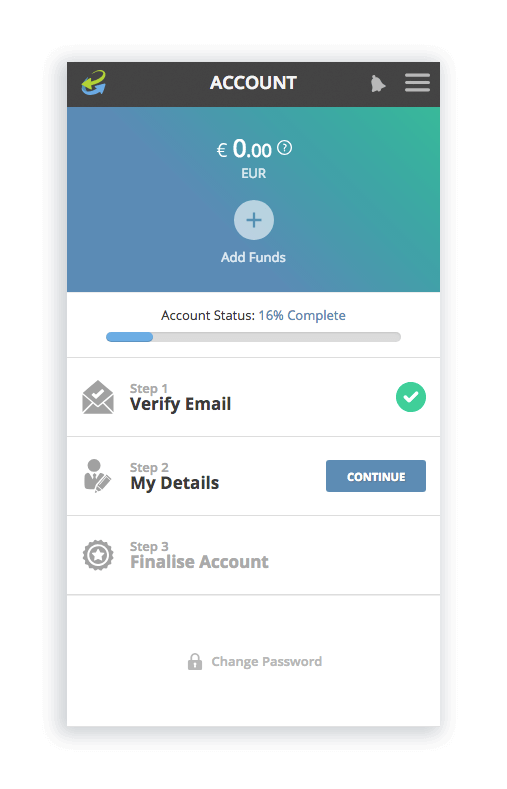 The platform will only allow you to withdraw to your own bank account and therefore safeguards you. 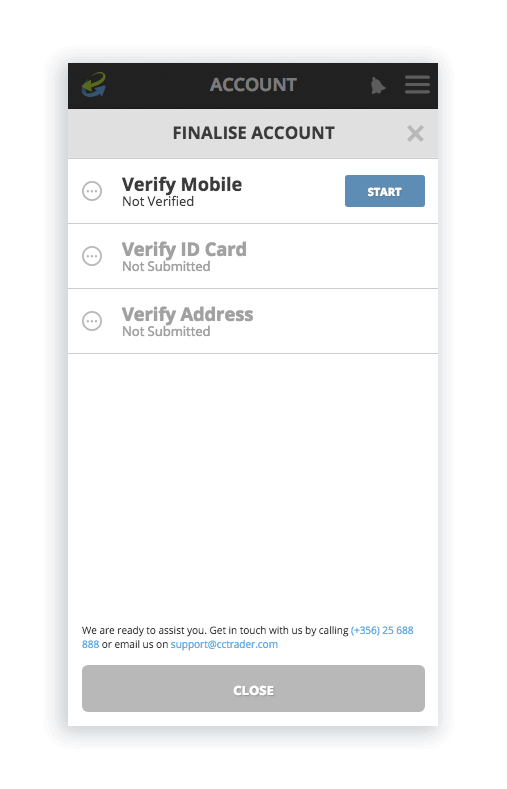 Mobile numbers are verified via SMS and reset passwords require 2FA. 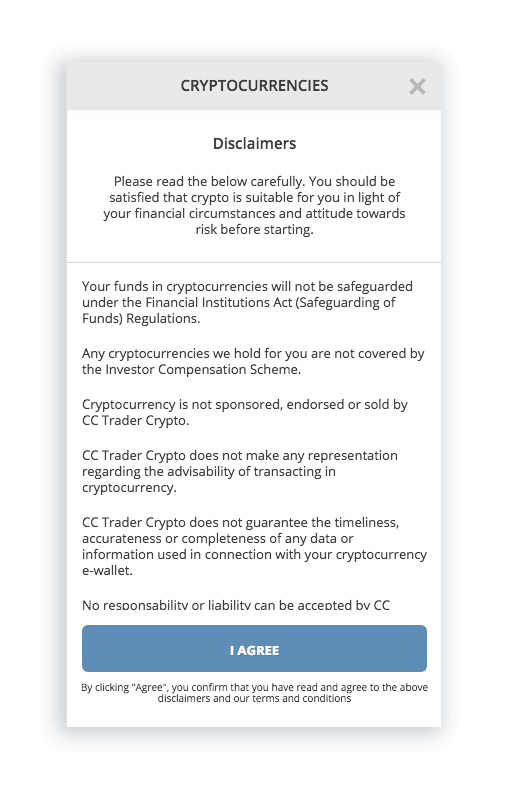 Due to security reasons and anti-money laundering policies, CCTrader Crypto doesn’t offer a cryptocurrency wallet. Trading is currently free as part of the launch offer for 3 months if subscribed before the end of August. Following the launch offer, the platform is expected to charge 0.2% which is amongst the cheapest rate available today. Deposit & Withdrawal Fees are free. One of the biggest plus sides is the ability to speak to a human being rather than a bot. The customer support team speaks English and Italian. IT support is also offered 247 so there will always be someone there to help. 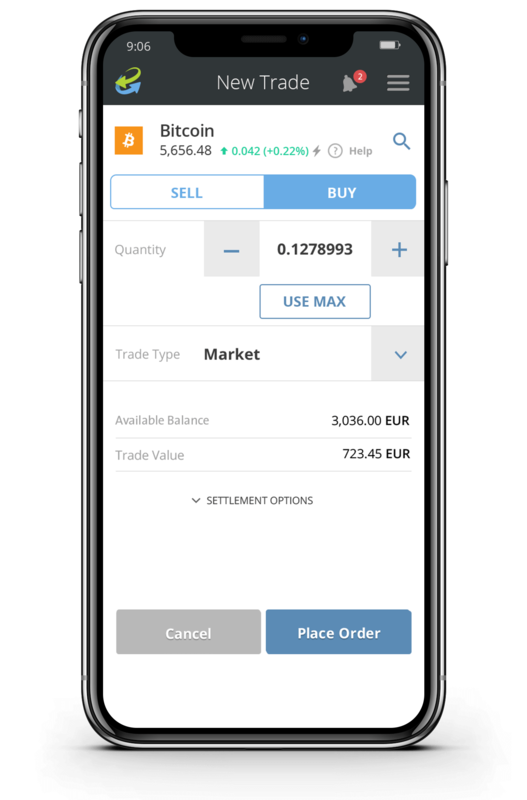 Limit orders are supported and trading charts will be introduced in the next few weeks. 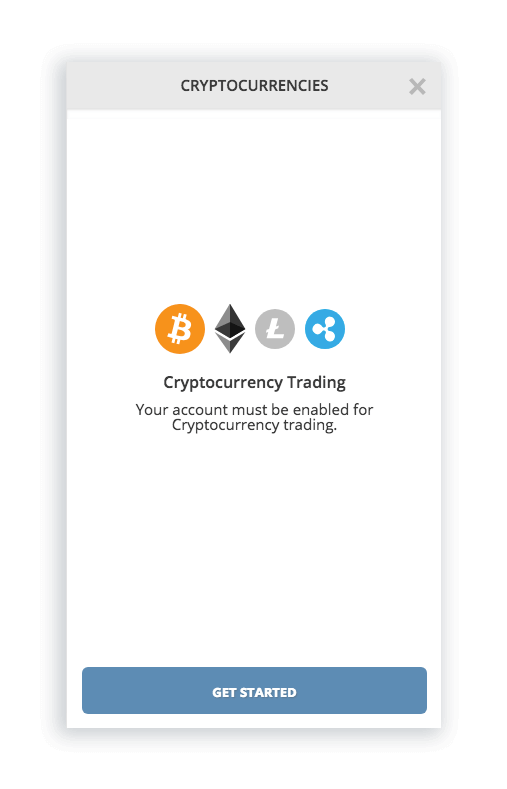 What makes CCTrader Crypto stand out from the competition is their robust mobile application. Frankly, we found the mobile application actually easier to use than the website platform. 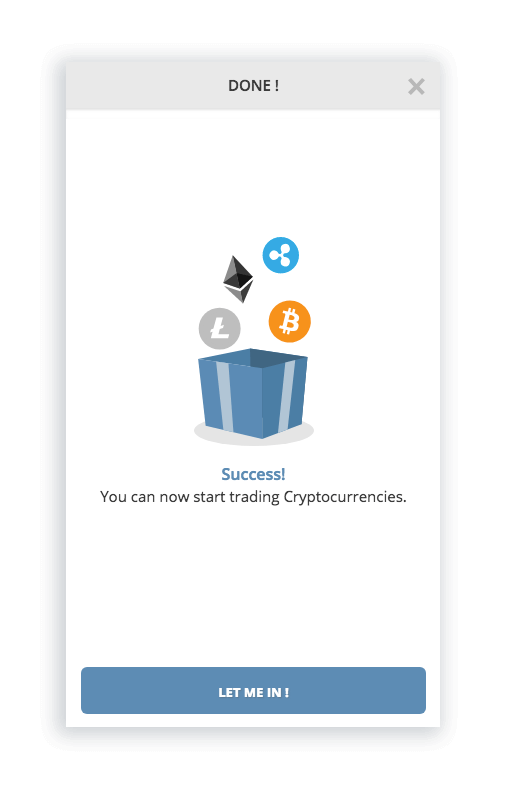 Opening an account with CCTrader Crypto is relatively easy and quick. The entire process shouldn’t take longer than 10minutes. Once again, the verification of your account will take up to 3 days, but you can start trading in the meantime. Putting all features aside, the biggest advantage of using CCTrader Crypto was the fact that we could entirely trust the platform. I think for the first time, we didn’t question the legitimacy of a cryptocurrency trading platform. We also didn’t experience any issues with withdrawals or deposits, so the entire experience was pretty smooth. 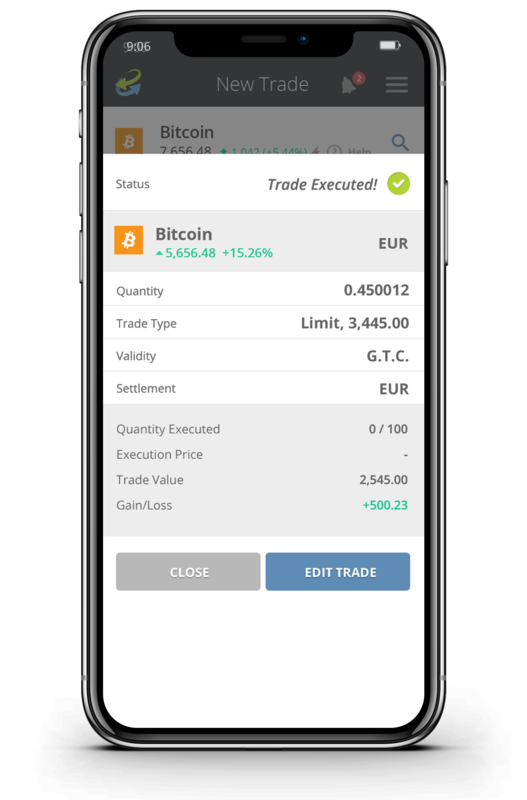 New features, such as charts which according to the website will be launched soon, will add even more value to the trading experience in general and it will make it in line with the competition. 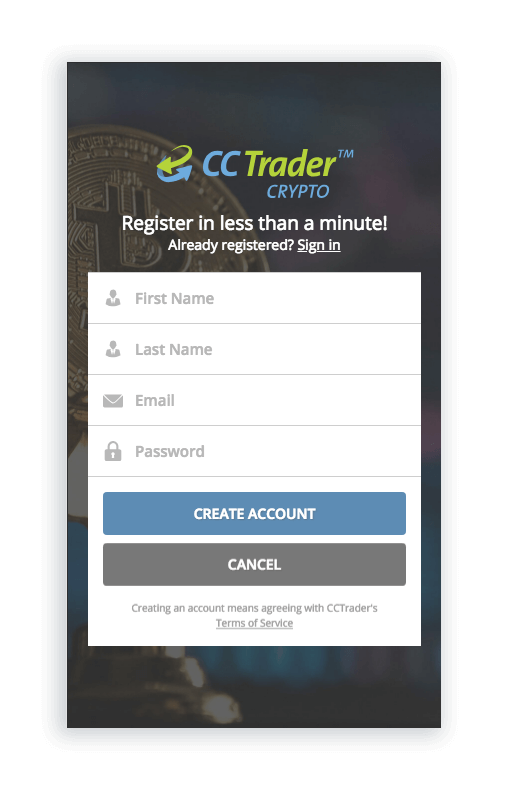 We’re looking forward to more crypto-coins coming in the future to the CCTrader Platform!